It sounds like this weekend should be beautiful, warm and not too windy. The Brainerd Jaycee’s Tournament is this weekend and it looks like the weather will be far different from last year. Anyone who toughed it out last year through the super low wind chills deserved a prize, just for effort. We really did not have many people up during the week so the fishing report is a little sketchy. People seem to be seeing a lot of fish but they do not always want to bite. 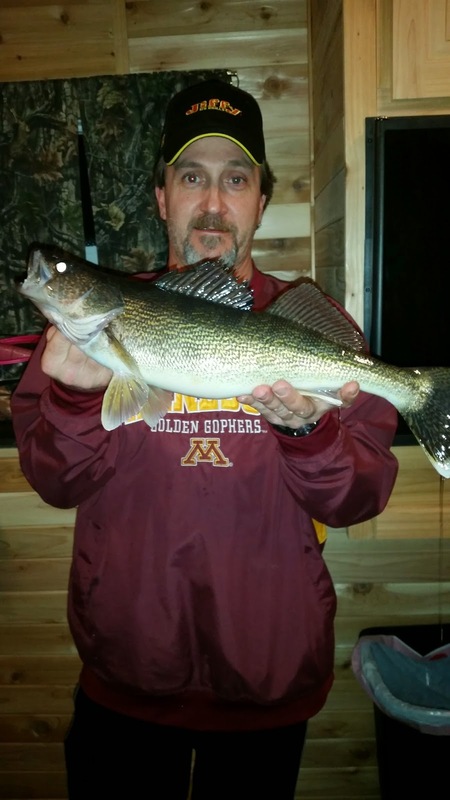 I have heard of some smaller walleyes and some nice perch being caught, along with some bigger walleyes and northern. People are starting to move out deeper and the perch action should pick up over the next week or two. The ice is in good shape with a few cracks along the main road where the ice is really thick. Wheel houses are getting around well in all of our fishing areas. We have a few rentals left for this weekend so we will run a 10% off special for new reservations booked after noon Friday for this weekend. 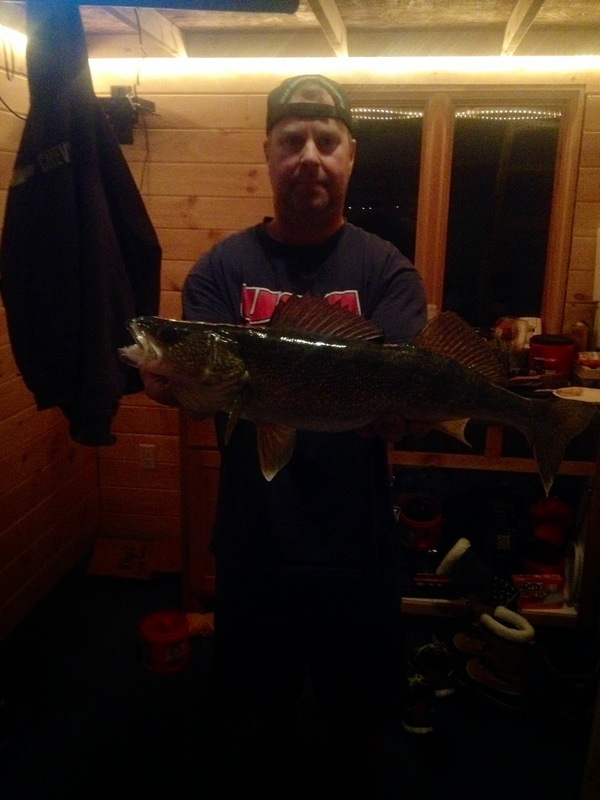 If you are going to the Brainerd Tournament and need a place to spend the night and catch some fish, give us a call. We have read the report from the DNR’s panel of experts. 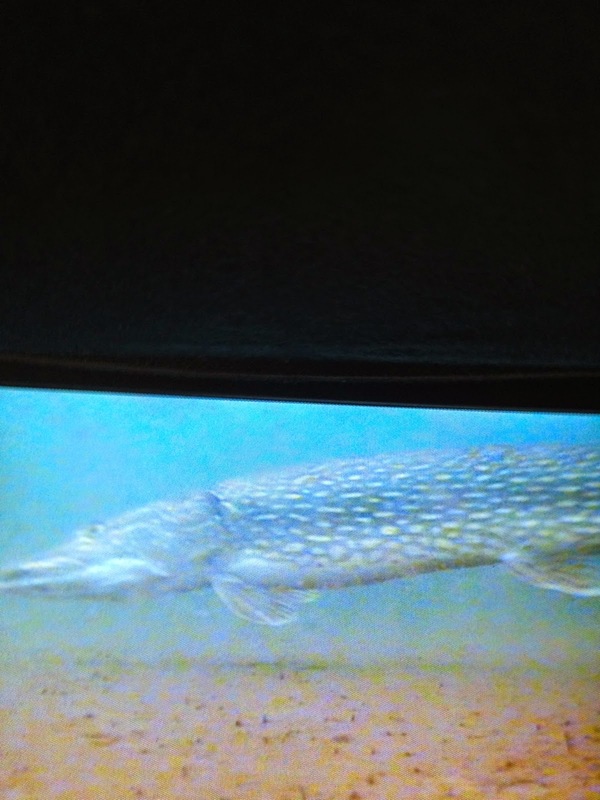 They were hired by the DNR, paid by the DNR, and they agreed with the DNR. Surprise, Surprise. I must say there was very little new in the report to anyone who follows the lake closely. It repeated what most around the lake already knew. 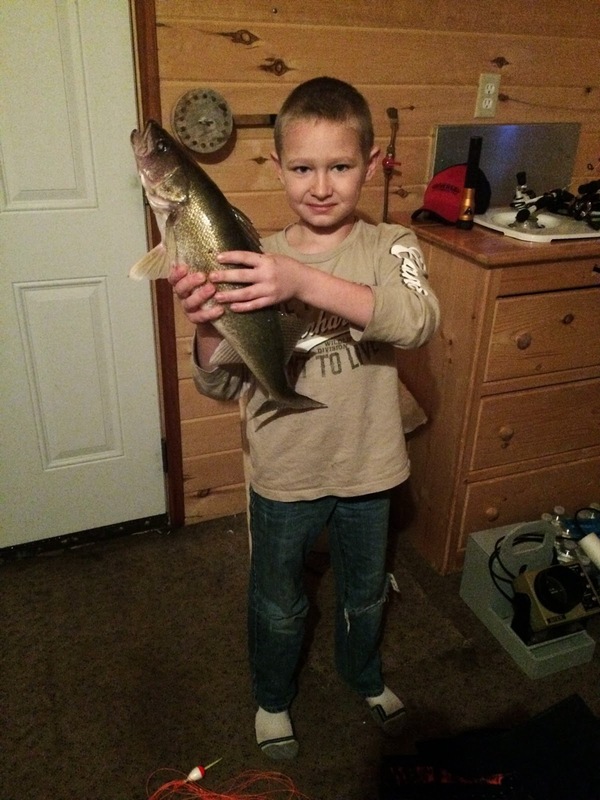 It did say the DNR should control the population of larger walleyes, northerns, and to a lesser extent, smallmouth. 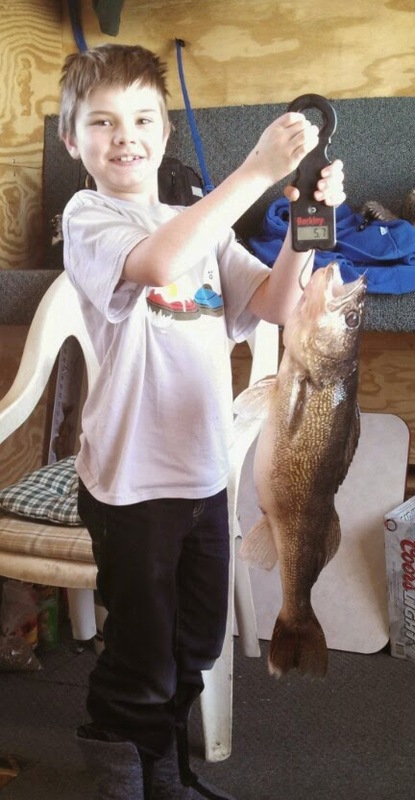 This supports what we have told the DNR for years which is not to protect all of the larger walleyes like they have for years. 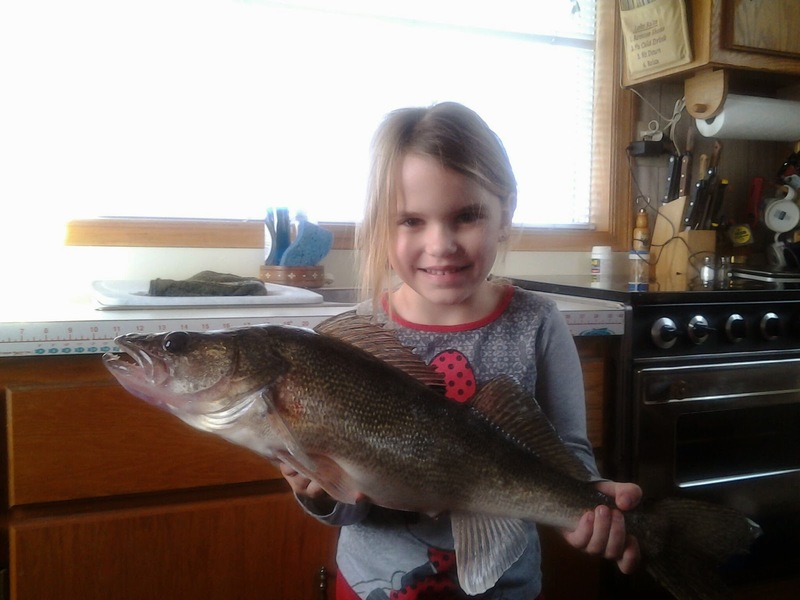 We need a harvest across the entire walleye size range, not a small range of smaller walleyes. This probably is not possible as long as the DNR clings to the harvest quota in pounds like they have. Their interest in looking at new treaty management options or ideas is nil. They will use the panel’s report to say they are right and do nothing. 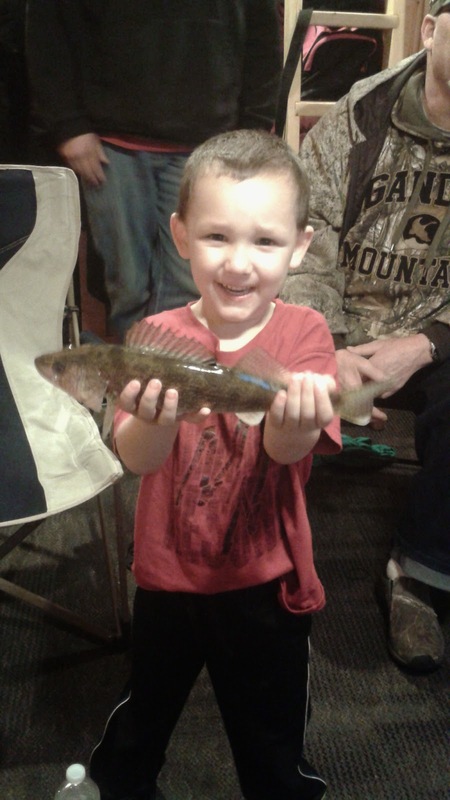 Their idea of pro-active walleye management is to wait for the 2013 walleye class to mature. It should be interesting to see what they propose for regulations for next year. Will they allow some harvest of the 2013 year class or protect them for another year? 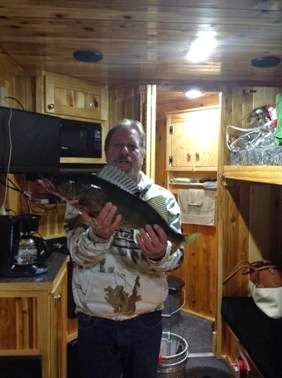 Possibly one fish from the large group of 2013 and one larger fish? It should be an interesting next month. Wow!!! 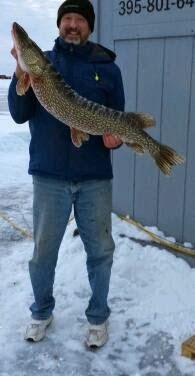 Big Northern are biting. 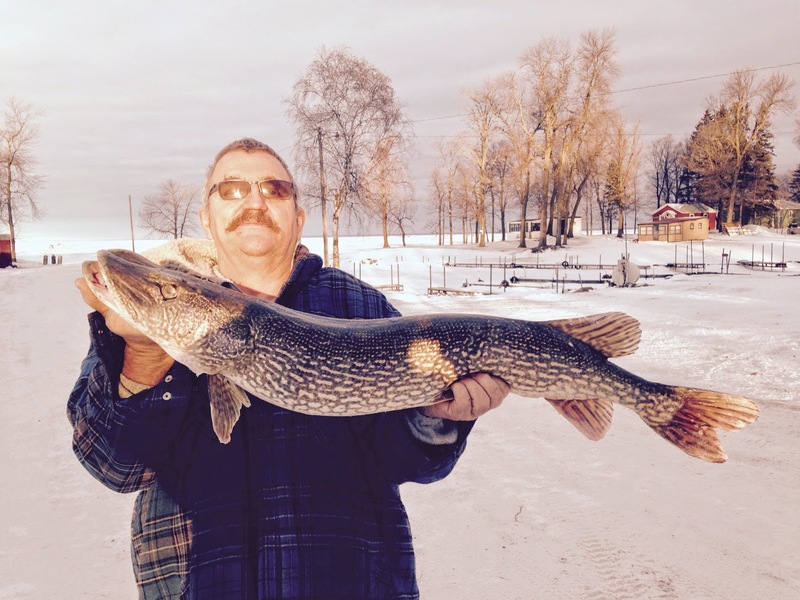 The Northern in the picture below is the largest Northern we have ever seen caught on Mille Lacs. Also, it was thrown back for others to experience the catch. 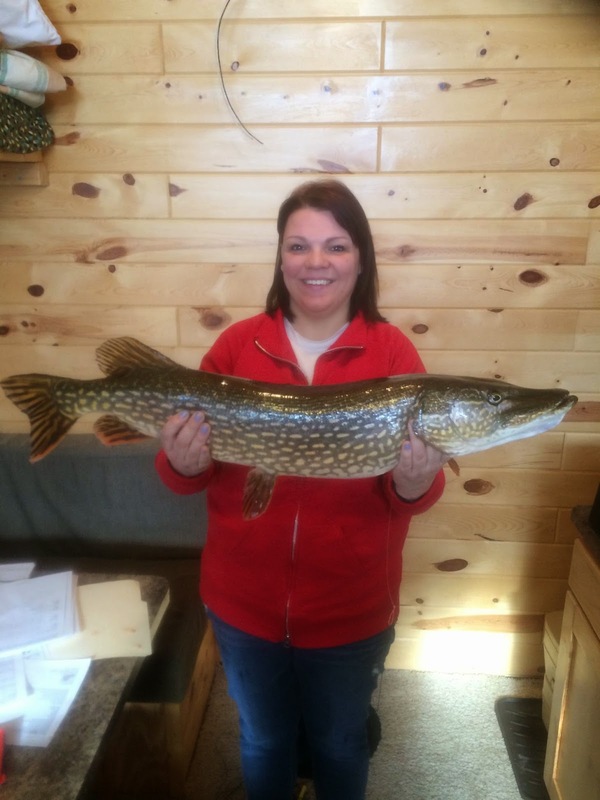 In the last week, we have seen multiple catches of very big Northern. 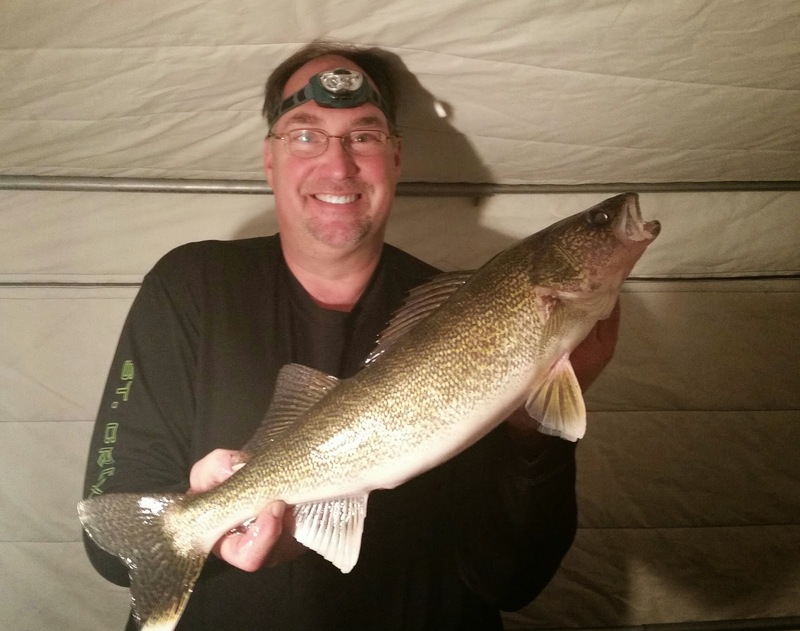 Starting last Thursday and Friday evening, the walleyes have started biting again. 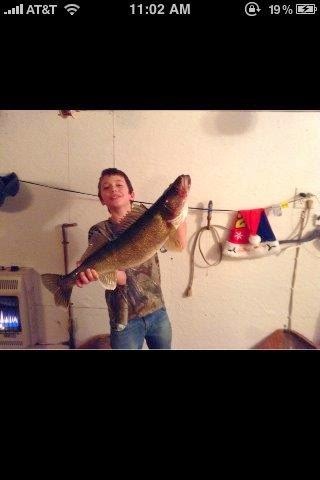 I have heard of many 20” + walleyes and many of the 2013 year class. Perch are a little slower coming back but they will with the warmer weather. Remember Monday is a holiday and we have a great mid-week special on rental fish houses. We do have a few standard and premiere houses left for Sunday to Monday. Hopefully the cold snap is over for a while. Last week was brutal. 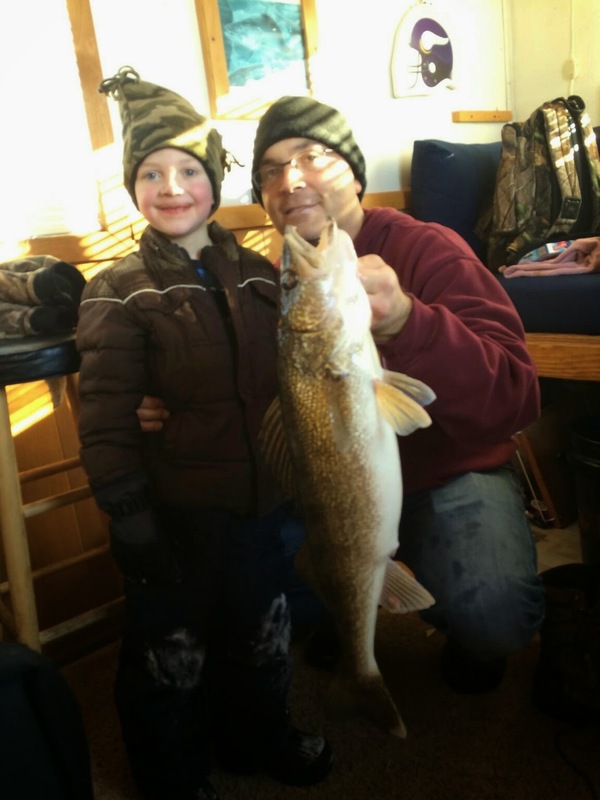 The fishing slowed during the cold snap but it is already improving since the really cold temps and high winds have passed. This next weekend sounds wonderful, temps in the 30’s. The fish should really be popping. I think this is one weekend out of the whole winter where you should be fishing. As I said, this last weekend started slowly after Thursday night’s Arctic Blast with hurricane winds. The fish were there on the cameras and vexilars, but the fish were just looking. As the weekend went on, they started getting more active. Saturday night was better than Friday. 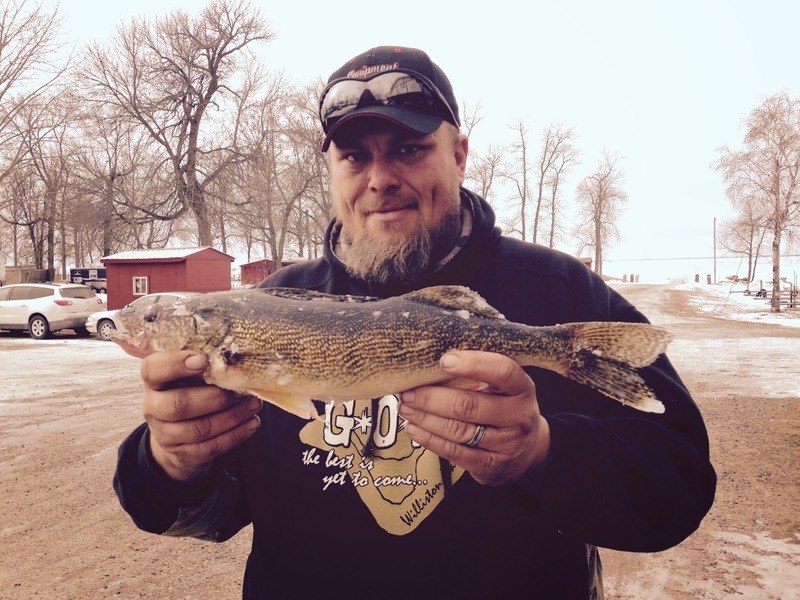 Quite a few nice walleyes up to 28 ½ “ were caught, with a lot of 2013 year class also. 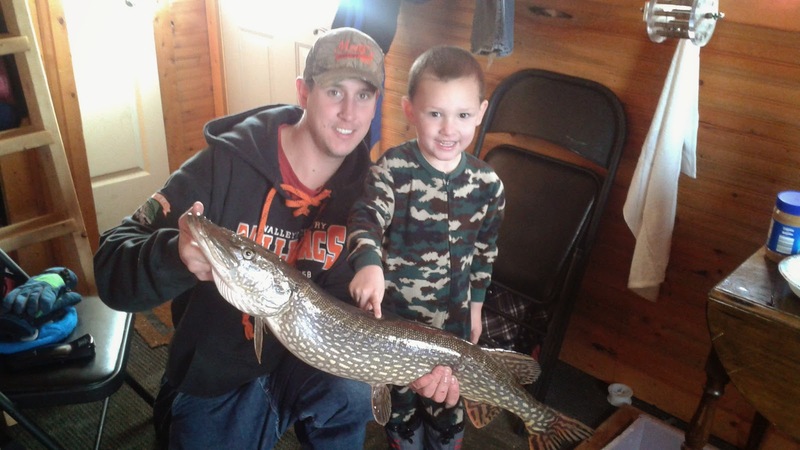 It was also a weekend for big northern as our pictures show. 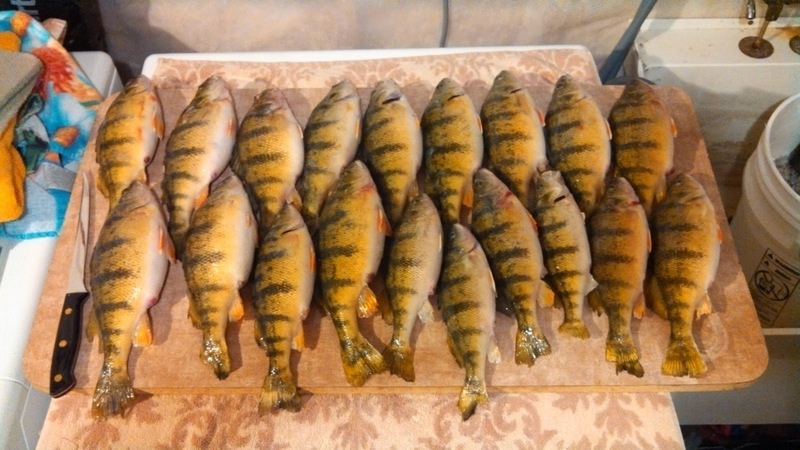 The number of perch were down some, as you might expect with the cold snap, but size was very good. I expect this next weekend to be one of the best so far with the warm temps coming. Our roads are in great shape, we are getting them all cleared good and wide after all the wind. No bridges are out but as you know that can change. Have a few rental houses left for this weekend and also remember, we honor our mid-week special (1/2 price) for MLK day on Monday. The weather is supposed to be nice so bring the kids up and celebrate a day off of school on the ice. WIND, COLD, WIND, COLD – Take your pick! It seems like all we have had is the wind and the cold. With that, it has slowed the fishing. 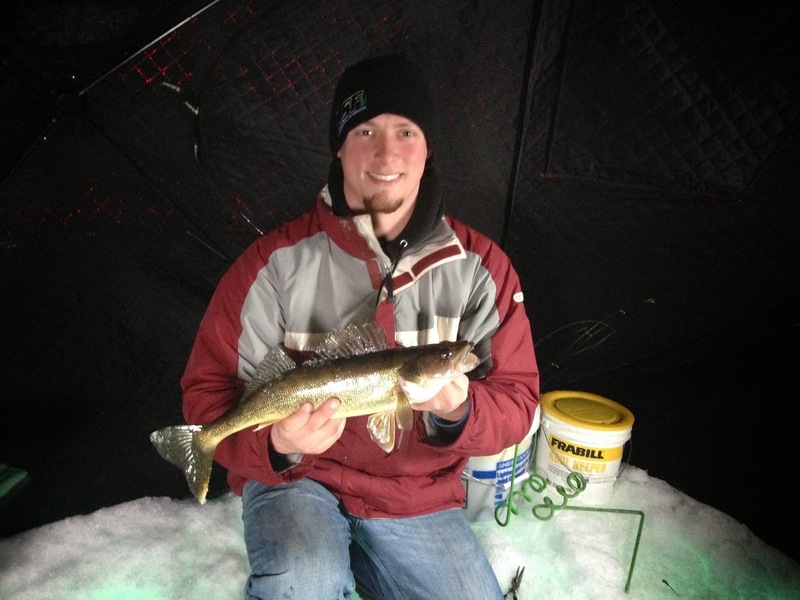 For those that have fished during the minus degree temps and wind since last Saturday still caught some nice fish. The Perch have slowed more than the walleye like you would expect. 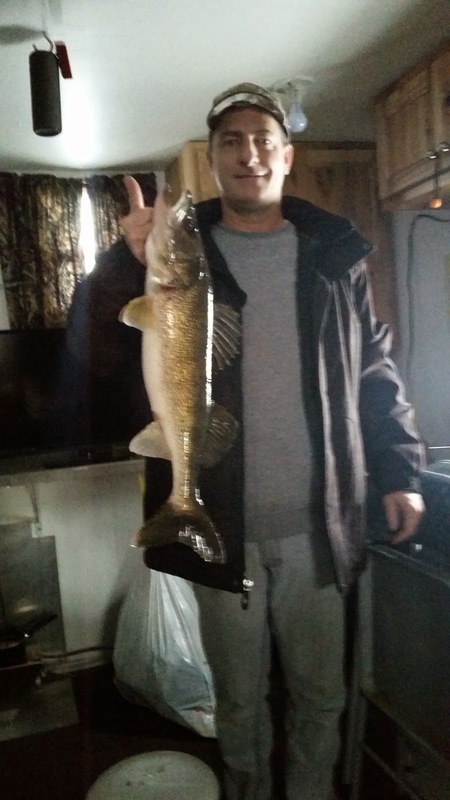 We are still getting some nice walleyes in 17’-20’ off Agate Bay Reef. 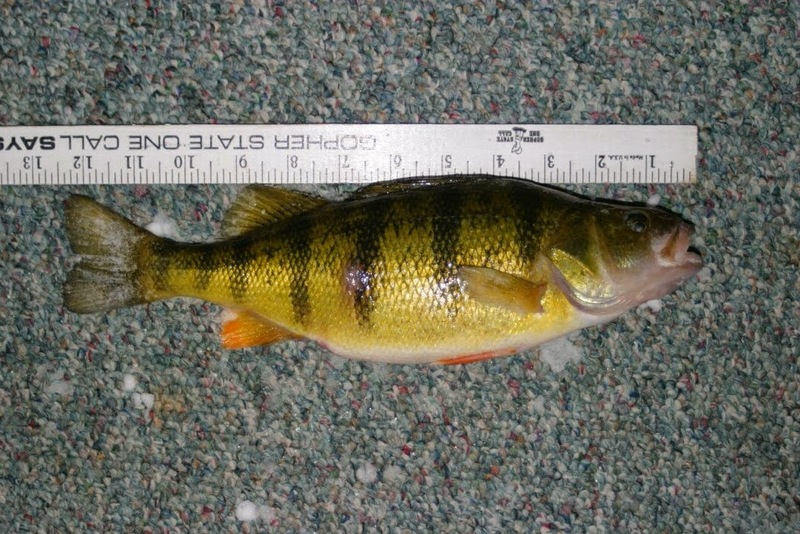 Perch, when they are biting are still in 27’-28’ off Perch Parkway. A little warm-up this weekend will improve the fishing again. 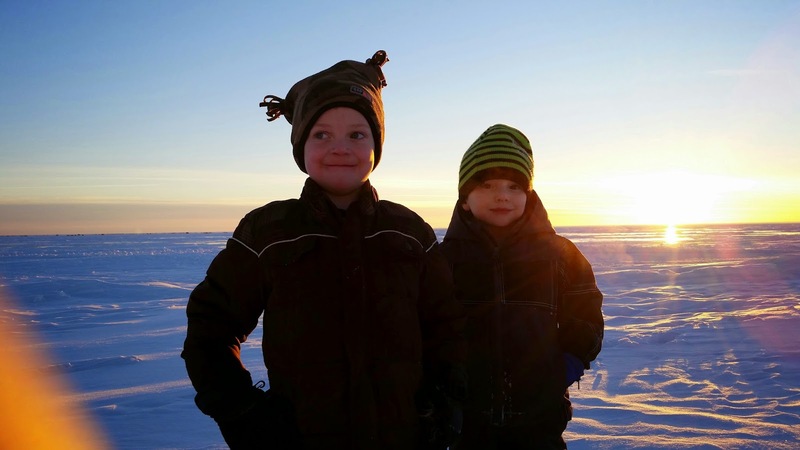 Looking ahead at January 16th weekend forecast – it might be a heat wave (31 degrees). Plenty of ice – 18” plus around Agate Bay area. Our roads are passable and we will be plowing once the snow and wind quit today. It is surprising how drifts have formed considering how little snow we have gotten. Some houses have a lot of snow around them already. 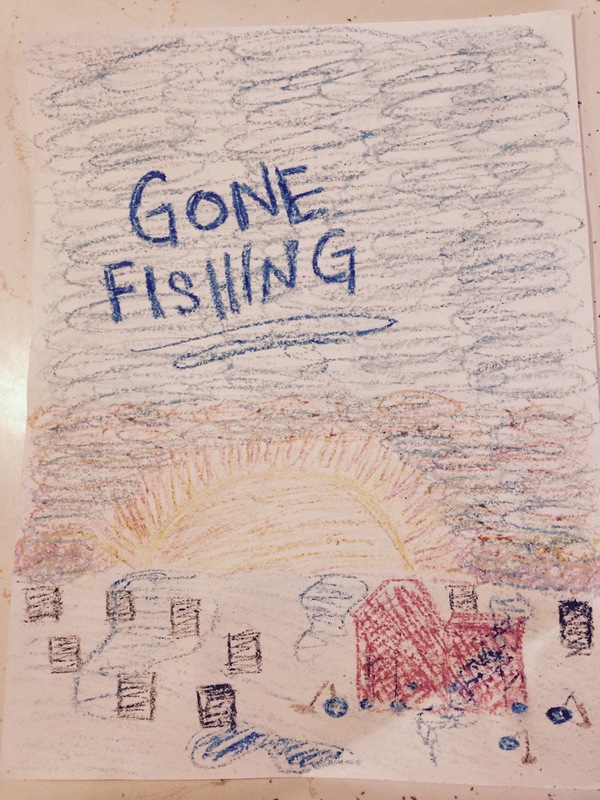 Thank you to everyone that have sent in their fish pictures. Here are more! Please keep them coming. We have a few standard fish houses left for this weekend and we are offering 10% off on any new bookings for 24 hours or more between Friday 7am thru Sunday noon.